Greetings from your Regional Safe Routes to School (SRTS) Liaison! As the Regional SRTS Liaison, I am the manager and champion of the Northeast Iowa SRTS Program. My main responsibilities are to enable and encourage students to safely walk and bike to school and in daily life. The 2013-20014 school year was our busiest year yet for SRTS. We added six new Walking School Bus routes in four new communities. In total, 19 Walking School Buses in nine communities walked to school, reaching over 275 students and 50 volunteers. What a huge jump from four years ago when it was just a few families walking one route in Decorah! For those who are unfamiliar, a Walking School Bus is a group of students walking to or from school with adult supervisors. I like to say it is just like riding the bus…minus the bus. We also hosted a record number of Bike Rodeo safety education events this spring. We reached over 650 students with bike and pedestrian safety education during nine Bike Rodeo events. The information children receive during a Bike Rodeo is so important for them to know now and all throughout life. During a bike rodeo, students learn the knowledge and skills for becoming a smart, safe bike rider; they then get to practice these skills on a supervised obstacle course. A West Union Walking School Bus braving the cold in March of 2014. The results from the SRTS Travel Tally collected during the month of May 2014 show that about 14% of students actively commuted (walk, bike, skate or scoot) to and from school this year. This percentage is down from previous years- 16% in 2012-2013 and 22% in 2011-2012. While this is a little discouraging, these results prove that the Travel Tally is not a true representation of student travel in Northeast Iowa. Those of us involved with SRTS efforts in Northeast Iowa know that MORE students are actively commuting to school, not less! For this reason, we decided to begin following the progression of Travel Tally results for a handful of schools that best represent our SRTS work starting with the 2012-2013 Travel Tally. The SRTS Focal Schools comparison results from this year show an increase– which is very encouraging and much more descriptive of what is happening in Northeast Iowa. The Travel Tally only captures a one-time, three-day snapshot of student travel, but is used to represent travel for the whole school year. While the Travel Tally does give us a basis for evaluation, it does not capture the bigger picture of what is really happening in Northeast Iowa. More students are walking and biking to school, and while it might not be every single day (or on the three days that the Travel Tally was collected), it is happening….and it is happening more often with more students than ever before! Let’s keep our momentum going, Northeast Iowa! 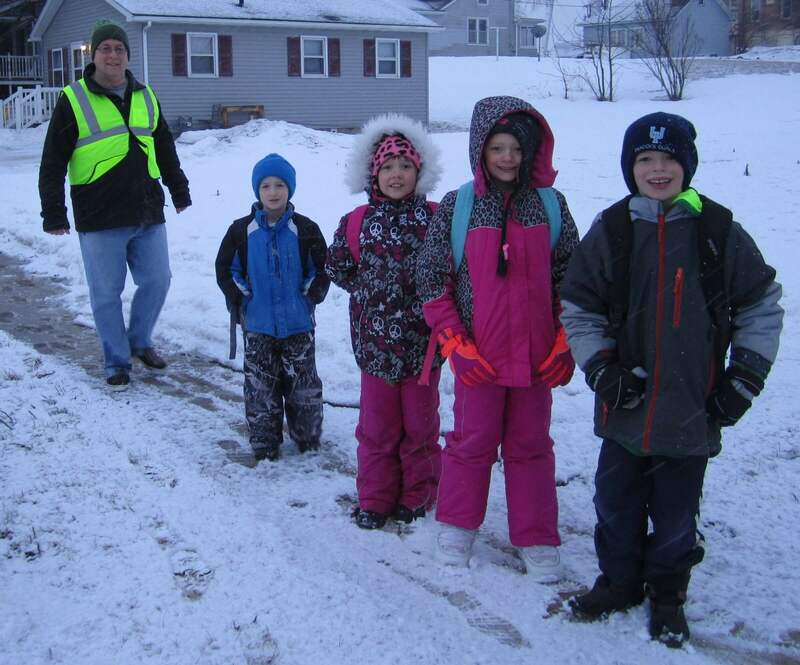 This entry was posted in Active Living, Allamakee CSD, Central CSD, Clayton Ridge CSD, Decorah CSD, North Fayette Valley CSD, Oelwein CSD, Postville CSD, Riceville CSD, South Winneshiek CSD, St. Joseph School by Northeast Iowa Safe Routes to School. Bookmark the permalink. I actually would like to get in touch with Ashley regarding Cresco’s walking school bus. I saw the article in the TPD but must have written her email address down wrong. you can ignore this comment. I found it! Hi Holly- I look forward to connecting you with!